Antarctic and Arctic Cruises - When to go? You've decide that you want to take a cruise to Antarctica, Spitsbergen or Greenland but you are not sure when is the best time to go. The information here should help you understand what its like during the cruise season in the different locations. 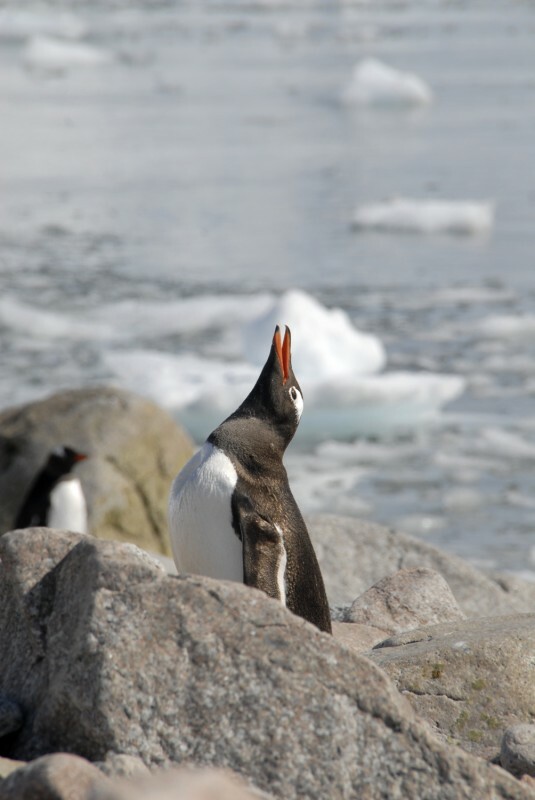 Antarctic wildlife is at its most active during the southern summer, November - March. Summer arrives first in the South Shetland Islands and spreads south along the Antarctic Peninsula. As the Antarctic year progresses, from spring to autumn, the Antarctic Peninsula and Islands change in appearance and character, each season offering a different range of spectacular sights and possibilities for visitors. Antarctica can boast several records with relation to climate. It is the coldest, driest and windiest continent on earth. Although the Antarctic Peninsula is part of the continent it does not show these extremes. During the Austral summer temperatures as high as 15°C (59°F) have been recorded at the west side of the peninsula, however, the average temperature is around 2°C (36°F). Although blue skies and calm weather are common in the sheltered bays and channels, cold katabatic winds, caused by cold air accelerating under gravity from icecaps and glaciers, pick-up quickly and form a strong opponent for the Antarctic traveller. After the winter darkness, spring fever hits Antarctica and the sun causes an explosive growth of phytoplankton in areas of mineral upwelling. The phytoplankton provides food to the astronomic swarms of zooplankton, including krill. Krill forms the base of the food chain for squid, fish and ultimately for seabirds, seals and whales, which flock in to fatten themselves and to produce their young. The first big whales come down to Antarctica to feed, among them Humpback, Minke and Southern Right Whale. 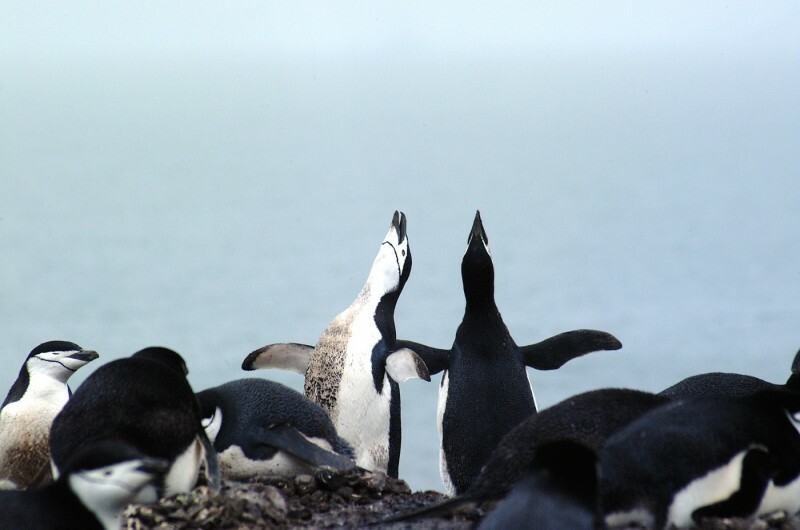 Amazing displays of the penguins' courtship ritual, including nest building, sky pointing and stone stealing. Penguin, petrel and cormorant eggs are laid in December. Penguin chicks start to hatch at the end of December in the South Shetland Islands. Wintering scientists at the research stations welcome the first visitors of the season. Longest days in December create longer daylight hours - photographs can be taken at midnight ! Last winters sea-ice offers sometimes spectacular sailing among the floes with Crabeater Seals everywhere on the ice. Fur Seal and Leopard Seal are visible. 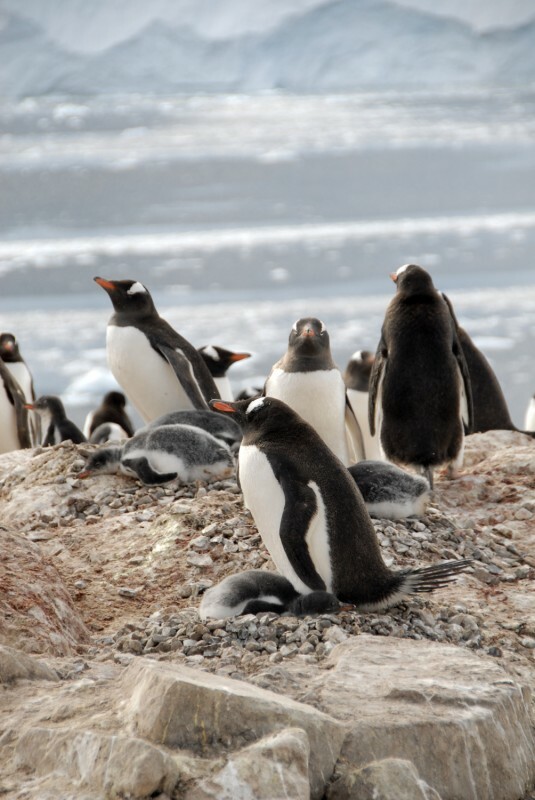 Penguin colonies at their busiest, fetching krill and feeding chicks. 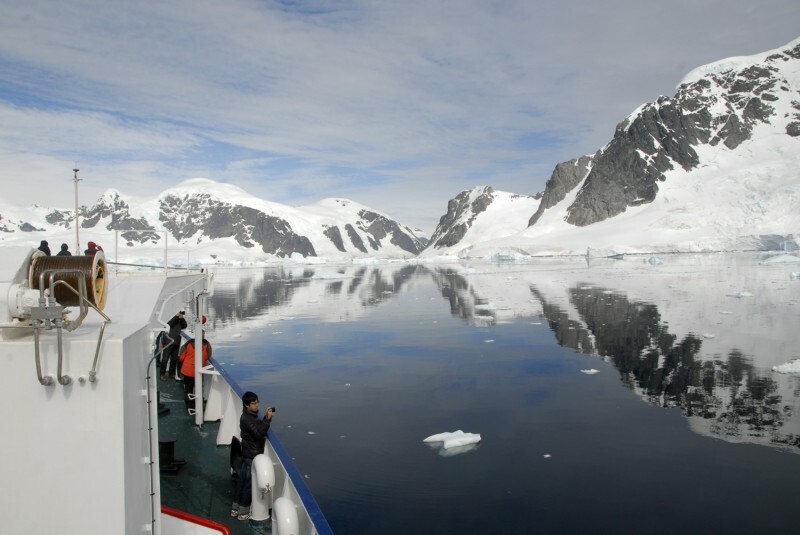 In February receding ice allows exploration further south along the Antarctic Peninsula. Concentration of Fur Seals increases. Whale watching is very good in February. Nightly Darkness returns as the sun sinks farther below the southern horizon, but temperatures are still above zero, though we may experience a touch of Antarctic winter with night frosts, creating beautiful patterns of thin sea ice on the surface. The snow cover is at its minimum allowing for easy and extensive walks in the South Shetland Islands. Penguin chicks are in their adolescent state now and quite curious about visitors. The adult penguins moult and the young go to sea. Concentration of Leopard Seals increases hunting for chicks. 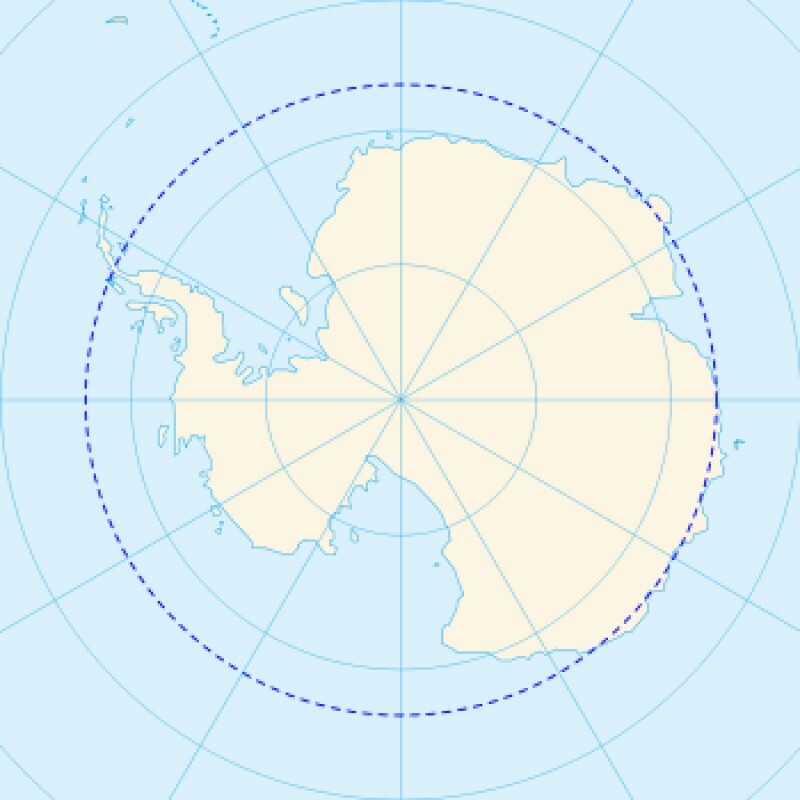 Receding ice allows exploration farthest south along the Antarctic Peninsula. Spectacular green and pink algae blooms on snow-slopes and ice cliffs. Whale watching is very good. Chances to see Aurora Australis. 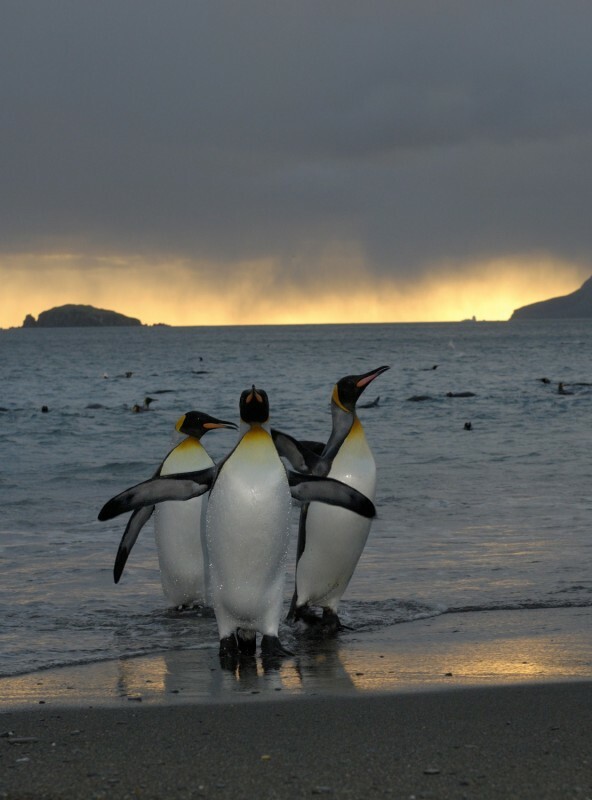 In Falkland Islands and South Georgia spring and summer arrive earlier than in the South Shetlands & the Antarctic Peninsula and consequently the breeding activities of sea-birds and sea mammals start earlier there. South Georgia is home to several birds with a cycle longer than one year, so eggs and young in King Penguin colonies can always be found from November to March. November is full spring in South Georgia, comparable with December in the South Shetlands, but without sea-ice. The season in Spitsbergen is relatively short with cruises availalbe from June to August (during 24hr daylight) and there isn't really a key time to go within these dates. Some years it is possible to sail through the Hinlopen-Strait early in the season, while other years there can be a great deal of ice, which makes it hard to sail. It is recommend to join the early season cruises for those who are keen to see large ice floes, the richest bird life and flowering plants. If you wish to travel further east and maybe sail around Spitsbergen, and visit Nordaustlandet, a cruise later in the season is more advisable. Nordaustlandet is the second largest island in the Svalbard archipelago and it lies northeast of Spitsbergen and most of the island is covered by two huge glaciers. Overall Spitsbergen enjoys a very dry, almost steppe-like climate, although the skies are frequently overcast. Fog can develop very suddenly, especially in the mountains. The prevailing winds are from the north or west and storms can blow up very quickly. The main temperature varies from -14°C in the winter to +6°C in the summer. 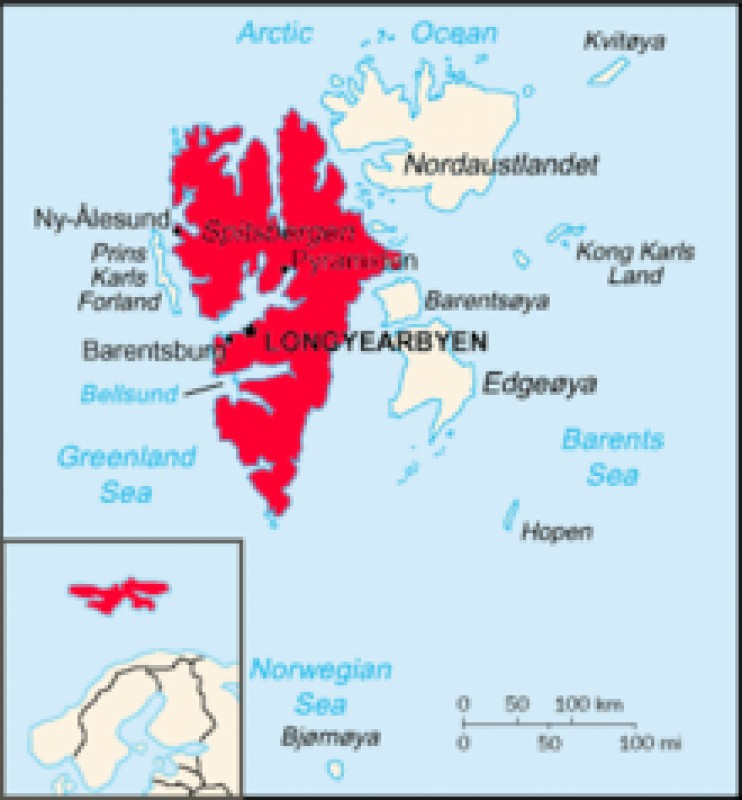 The average mean temperature in Longyearbyen is -4.8°C. Longyearbyen enjoys the midnight sun from 20 April to 20 August and from 28 October to 14 February the sun never rises above the horizon in Svalbard. Almost everywhere the subsoil is frozen to a depth up to 400m - permafrost. Due to the warming influence of the Gulf Stream, there is an amazing variety of flora on land as well as underwater. 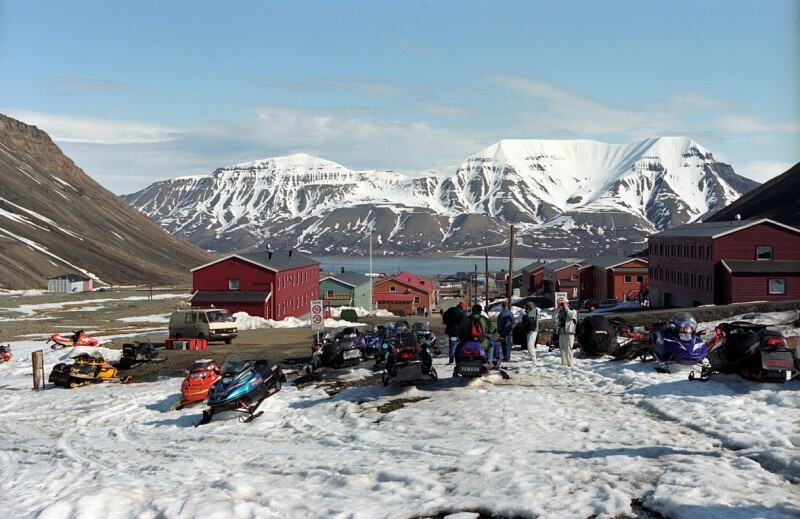 Svalbard is a permafrost region, only the upper layer of soil being frost-free in the summer. 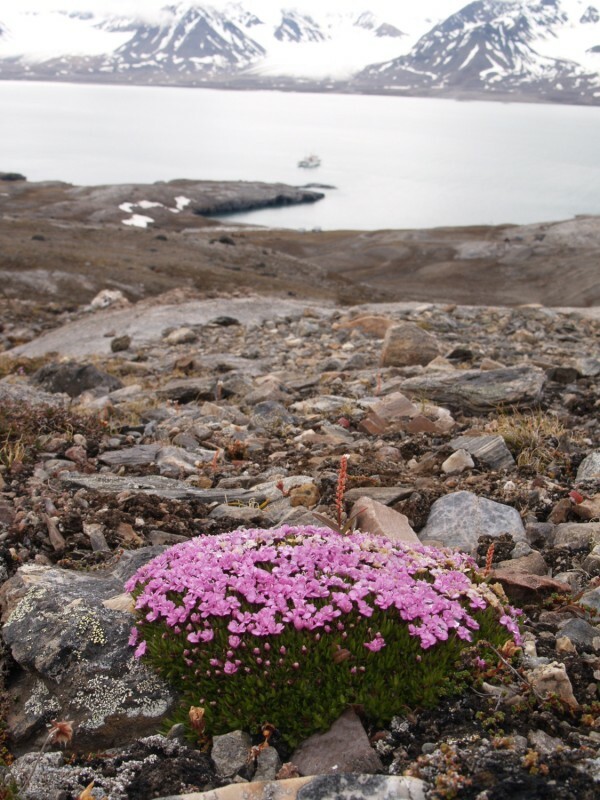 Nevertheless, there are a great variety of approximately 165 species of wild plants on Svalbard. Most of the birds on Svalbard are migratory birds that spend the winter in the Barents Sea, along the coast, on the mainland or on the continent. Although the bird species are not as diverse as in other regions, the huge seabird colonies are a real attraction. There are four species of land mammals to be found on Svalbard, the Svalbard reindeer, arctic fox, polar bear and short tailed vole. Other mammals rely in part at least on the sea - Walrus, Bearded, Harp and small Ringed seal are numerous around Spitsbergen. In some fjords several hundred ringed seals can cast their pups on the ice at the head of the fjords. 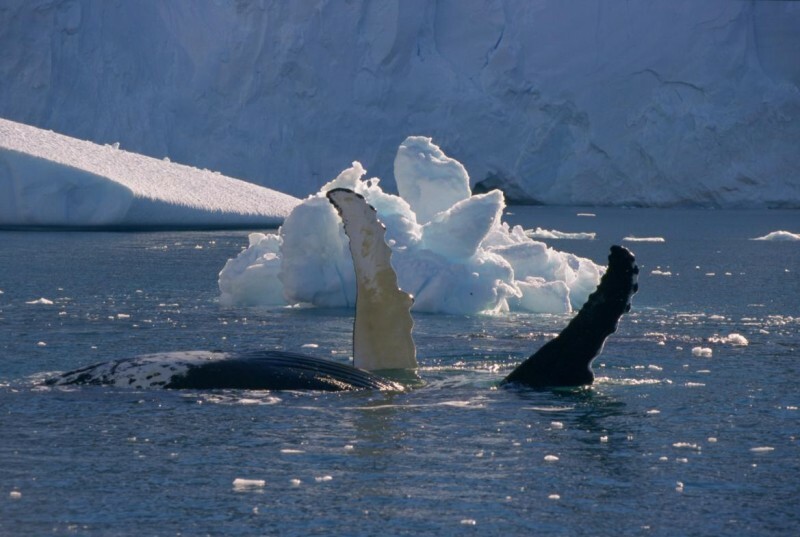 Several whale species are to be found in the waters surrounding Spitsbergen. The west coast of Spitsbergen, with its deep fjords and towering glaciers that calve with a thundering noise, its sharp mountains (1000+ meters, 3000+ feet) in the north and the south and its lush tundra full of flowers has a lot to offer to wildlife lovers and hikers. Due to the warming influence of the Gulf Stream temperatures on the west coast are relatively high. 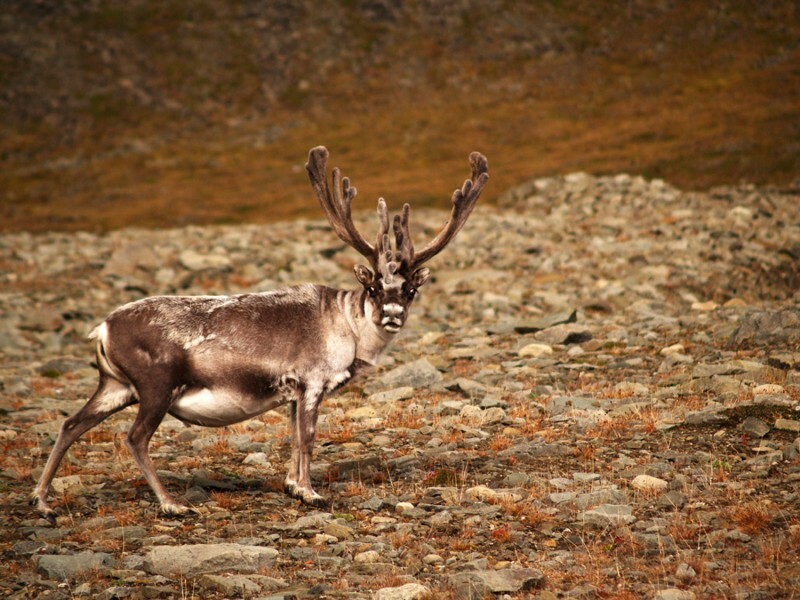 Spitsbergen therefore has an Arctic flora and fauna. In the far north-east, where the Gulf Stream is much less strong, it is High Arctic. There is an amazing variety of plants, 164 species of flowering plants having been identified. The fauna is also abundant. 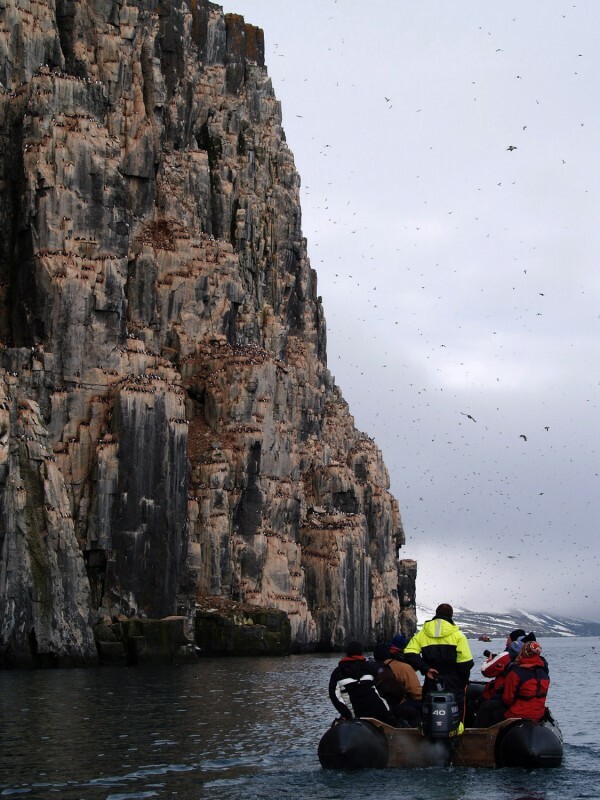 Huge bird cliffs with tens of thousands of kittiwakes and guillemots, and lush tundra with Svalbard Reindeer and Arctic Foxes. The coastal seas are abundant with several seal species such as the Bearded and Ringed. In several areas walruses can be found, hauling out on ice-floes or on beaches. And Polar Bears are frequent visitors to the west coast. The north-east coast of Spitsbergen has a different topography to its west coast. Less sharp, more rounded hills, consisting of softer sediments. Without the warming effect of the Gulf Stream the glaciers and ice-caps have become considerably larger. The landscape is more barren and empty: this is the real High Arctic. Here the pack- ice keeps the adjacent seas in an icy grip for more than 6 months of the year. There is almost no lush tundra, often just barren rock. Yet, amazingly, there is still life here, sometimes even abundant life, due to the rich seas that provide food for birds and sea mammals. Elusive Arctic species such as Ivory gull, walrus, Polar Bear and Beluga can frequently be seen here. The south-east coast of Spitsbergen is rather mild compared to the north-east. Here you can find table-mountains with small ice-caps and green valleys full of reindeer. Whalebones thousands of years old litter the beaches, bird cliffs are crowded with birds and there are good chances of seeing walruses and Polar Bears. This area has been an important hunting ground for Russian and Norwegian trappers who went after walruses, Arctic Foxes and Polar Bears. Remains of their settlements and huts can be found here. Cruises to North-East Greenland are planned in August and September. The reason is that access to this wild coast is dependent on the ice conditions. For much of the year the region is locked in by pack-ice, which only by late summer has broken up sufficiently to allow vessels such as ours to reach land. The Greenlandic weather varies enormously depending on where you are on this vast island. Influenced by its high latitude, the gigantic ice-cap and the surrounding oceans and seas, Greenland has an Arctic to High Arctic climate. Still, East Greenland has on average 300 days of sunshine in the year. In August we can expect surprisingly warm daytime temperatures. 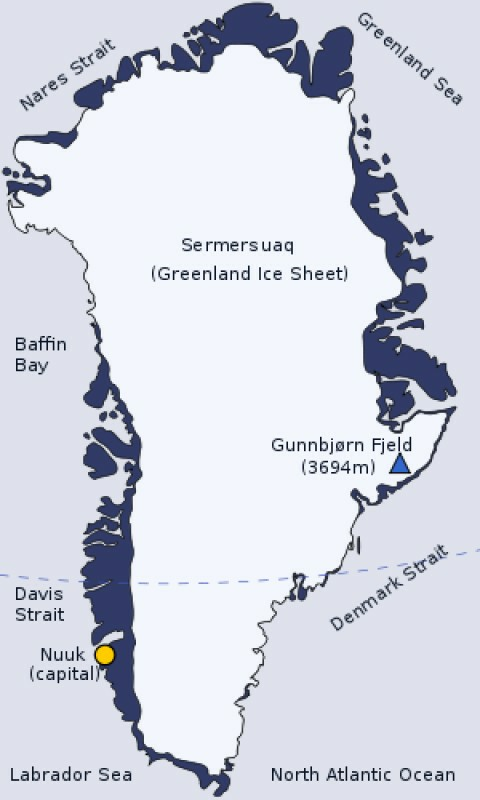 In Scoresby Sund the average daytime temperatures are between 5 and 9ºC (41 and 48ºF) with the highest observed temperature being 21ºC (70ºF). On a sunny, windless day even 9ºC feels quite warm. By September, autumn rapidly begins to take a hold. Temperatures drop below zero, the sea in sheltered fjords begins to freeze, the winds strengthen and snow can be expected. Still, the low sun gives spectacular sunsets and the snow adds to the Arctic feeling. Greenland and its surrounding waters are home to an impressive array of bird life. There are about 50 bird species on the island such as Gyrfalcon, Snowy Owl, Barnacle and Pink-footed Goose. 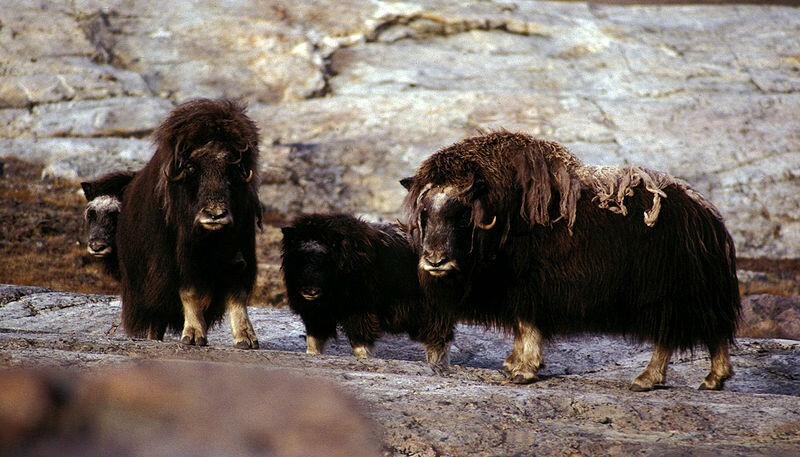 Greenland is also home to quite some terrestrial mammal species: Arctic Wolf, Arctic Fox, Ermine, Collared Lemming, Muskox and the Arctic Hare. In the coastal waters of Greenland there are Fin, Minke and Humpback Whales, Narwhals and Belugas (White Whales). Blue Whales, Sperm Whales and Pilot Whales are also seen occasionally. Please note; some of the animals mentioned are not always seen during our Greenland voyages as several of these species are rare. One of the reasons can be the time of year: in August and September many bird species have migrated. Another important reason is unfortunately the large-scale game hunting by Greenlanders. 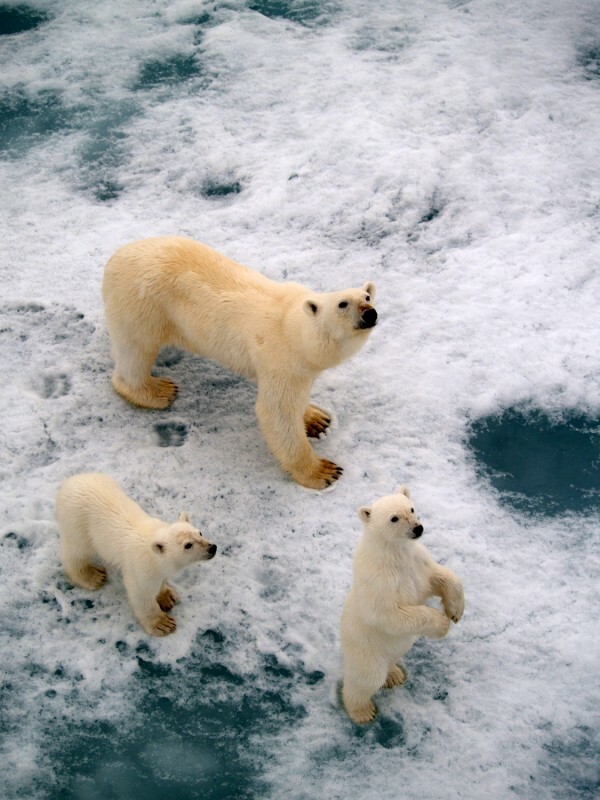 Animals such as the Arctic Wolf, the Polar Bear, the Walrus, and the Narwhal are massively overhunted in some areas. The Polar Bear is therefore rarely seen on the west coast, more regularly it is seen on the northern and north-eastern coasts.